It’s a common misconception that Search Engine Optimization (SEO) is a one-size-fits-all solution for businesses. The truth is that SEO tactics can vary depending on your industry. This is especially true within the hotel industry because competition is fierce, and most consumers begin researching hotels for trips at least three months in advance. 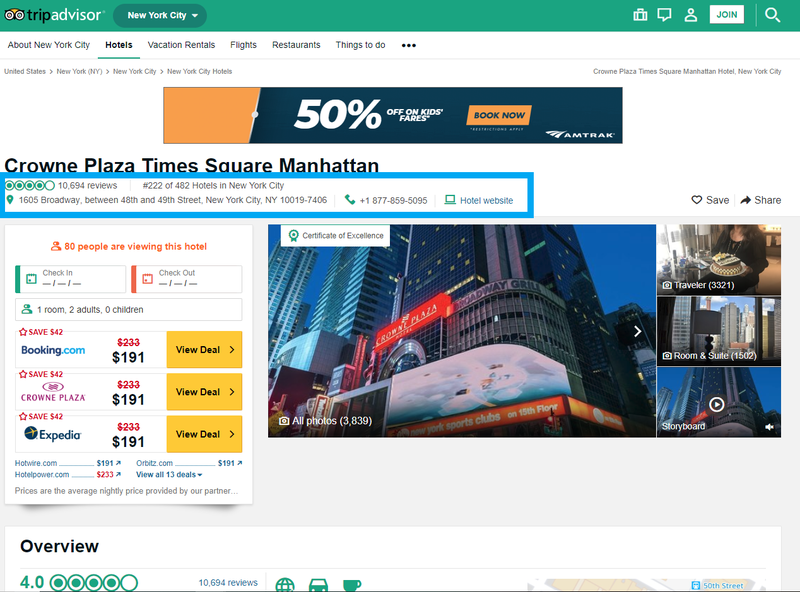 Therefore, it’s vital that your hotel has prime visibility within search engines to capture not only the consumers who are ready to book, but also those who are still in the research stages of the booking journey. Today, we will cover some unique SEO strategies for hotels that can carve a successful path for your business. 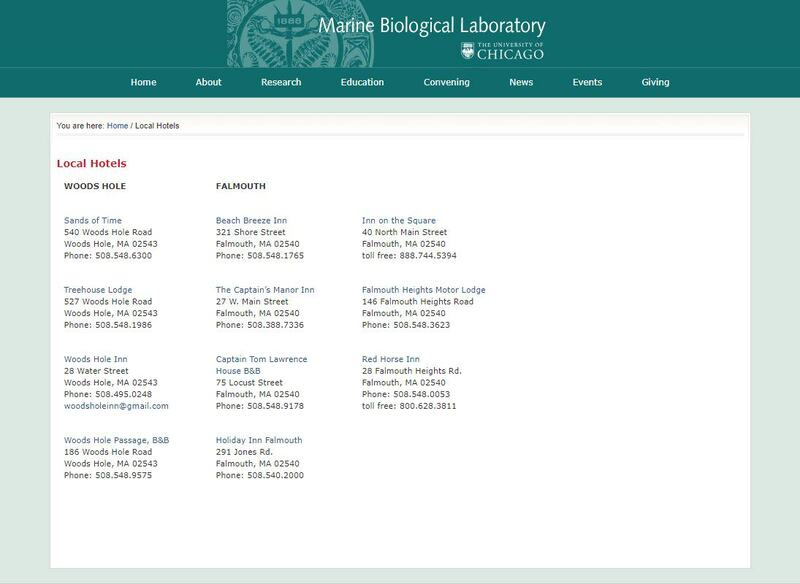 Local citations are websites that provide information about local businesses (i.e. TripAdvisor, Yellow Pages, Yelp, etc.). Having updated location citations plays a key role in achieving prominent rankings in the search engine results pages (SERPs). In fact, Google trusts local citation sites even if potential customers do not visit them because they are established and indexed websites. Google crawls the web for your business information and any inconsistencies in your UNAP (URL, Name, Address, Phone Number) information decreases the organic visibility of your site. Hotels are often listed in these directories. Frequently auditing and updating your local citations is crucial to ensuring your hotel displays in the SERPs. Obtaining links from other websites to yours is an important component of any digital strategy. Inbound links are particularly important for hotels. This is because they work as an important ranking factor for Google when determining how hotels should be displayed. In addition, having 3rd party links to your website can lead to bookings and awareness as well. However, obtaining those links initially can be a bit difficult and may require some manual outreach. One handy tip is to think of local websites your potential visitors may be viewing. For example, perhaps there is a marathon coming up in your area; or some sort of popular event will be held nearby. It would be beneficial to reach out to the webmaster of the event’s website and try to get your hotel linked on their site. Another example of great websites for hotels to link to include wedding venues and universities. Plastic surgeons’ websites are also mutually beneficial, because their patients will need a restful place to recuperate after their procedure. Just know that some businesses may require some sort of group discount to get listed – so it is a good idea to get your sales team involved. The best keywords to target within the hotel industry are those that are hyper local to the hotel’s location. For example, let’s say your hotel is in a suburb (such as Plano, Texas) of a major metro market (such as Dallas, Texas). 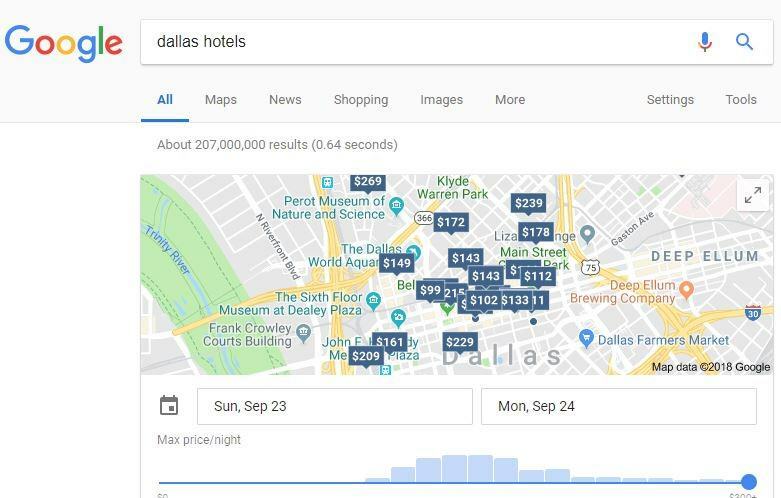 When a user searches for the term, “Dallas hotels”, Google only displays hotels directly in the city-center. 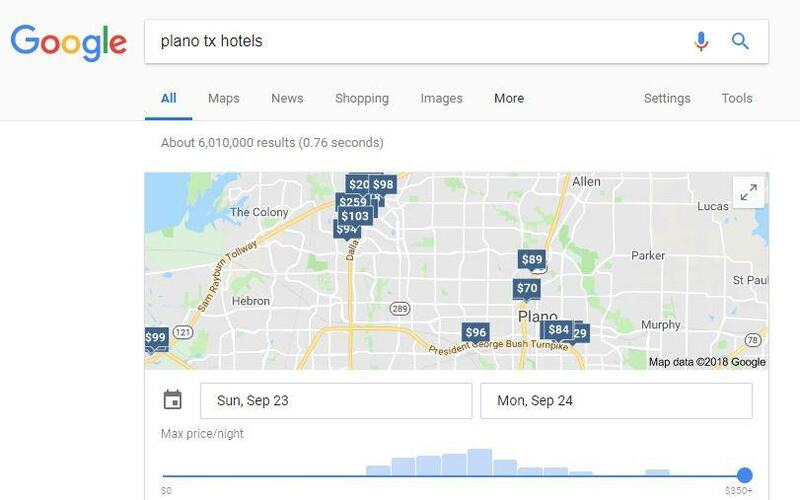 But when a user searches for hotels in Plano, Texas, only hotels near the suburb of Plano will display in the search results. Google’s algorithm is highly sophisticated, and Google’s #1 priority is to serve highly relevant results to its users. So, even if it’s tempting to target a term with high search volume such as “Dallas hotels,” that type of keyword is highly competitive, and your hotel will only have a chance at ranking for that keyword if it is in that exact geographical area. Changes are often happening at hotels. Perhaps your hotel had a recent name change or an upcoming event is occurring nearby. It’s important that this information is prominently displayed for customers on your site. Failing to notify visitors about certain updates (such as hotel construction for a renovation) leads to a poor customer experience and negative reviews. Negative reviews cause long-term SEO problems in the future. In addition, having fresh content on your website is another one of Google’s ranking factors and it plays an important role in terms of strong SEO performance. Crafting a hotel SEO strategy requires thoughtful research about your customers and their purchasing journey. It is also important to implement a unique strategy that considers your hotel’s brand, amenities, location, and seasonality. The tips covered in this guide are intended to work as a starting point to highlighting your hotel online. If you have questions about your hotel’s digital marketing, we’re here to help. Leverage Marketing is built on 17 years digital marketing experience. Contact us to learn more about our vast array of services and discover how we can tailor a strategy to meet your needs.